Fleecewood offers a wide range of woolcraft supplies and equipment for sale through this website, including the full product range for Ashford Handicrafts, Fleecewood and Wizpick brands. All fleeces (both greasy and washed) offered for sale have been produced at Fleecewood Farm. 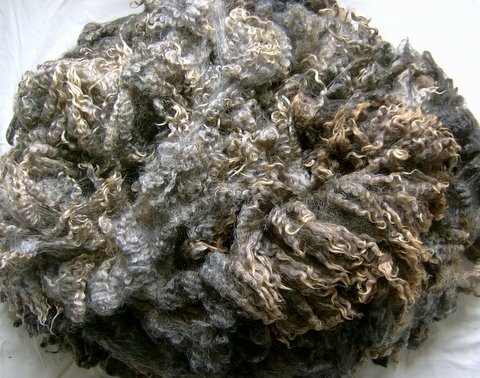 These fleeces have been grown and heavily skirted, specifically for handcraft use, including spinning, weaving, felting, rug making, and doll hair. 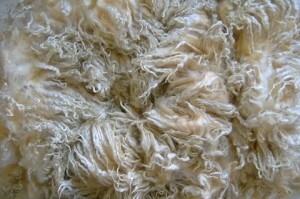 Most fleeces are annual shear, so are longer than many commercial grades. Greasy and washed fleece is normally sold by the fleece. Occasionally larger fleeces are split in half down the backline, as indicated in the description. If you want smaller amounts of fleece please contact us with details. Fleeces may be purchased directly from the information given on this website, or samples can be requested. There is a small charge for samples. Different sheep breeds produce different types and character of wool. A description of the wool characteristics associated with each breed is given alongside other information for the Fleecewood Flock. Leicester breeds are grown for lustre and silky handle, whereas the finer breeds (Polworth, NZ Halfbred, fine Romney) are characterised by softness and bulk (finer crimp). 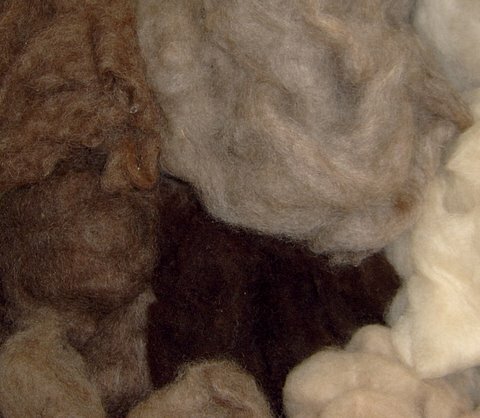 Fleecewood fleeces come in a wide range of natural colours, including white, pale to dark grey, natural black, oatmeal to dark honey, and taupe to rich chocolate browns. Some fleeces have fairly even colour, whereas others are highly varied, either in a spotty distribution or reverse mouflon (dark head and backline, with paler sides). Not all colours and colour patterns are available for all breeds. If you can’t see what you are looking for among the fleeces for sale, please contact us with details of your requirements. There are many more fleeces available than are advertised for sale. Fleece weight is approximate only. This is because the water component of the grease typically reduces over the first few months after shearing. The “weight” given is the weight of the fleece as measured immediately after skirting. While the weight of the greasy fleece typically reduces, the amount of wool in the fleece remains the same. Where a fleece is described as “lamb” it still has its lamb tips (the little curl of wool at the tip of each staple that the lamb was born with). Despite skirting for staple weakness, it is not possible to test every lamb tip. Customers are advised that lamb tips may be weak and form noils during drum carding. However, lamb fleeces are great for teasing and flick carding preparation, and can produce attractive textures when used in weaving, felting, and as fringes. All fleeces are guaranteed to meet the description given. If a fleece does not meet your expectations or you are unhappy with it for any other reason, please contact us as soon as possible after you receive it. Sometimes we also have carded batts of Fleecewood Leicester. Please contact us us if you would like more information on these. Currently out of stock. We stock white and the full selection of 50 different colours of Ashford dyed Corriedale sliver. Ashford advise that this wool is 30 micron. 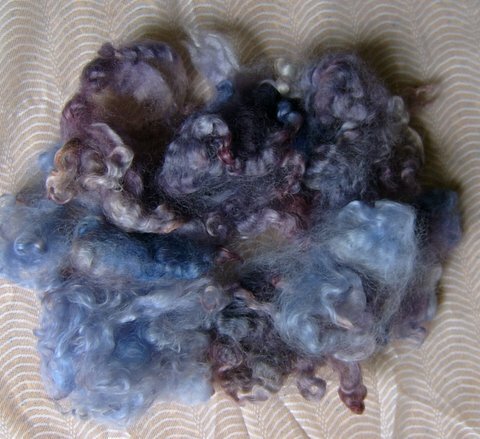 It is great for spinning, needle felting or wet felting. 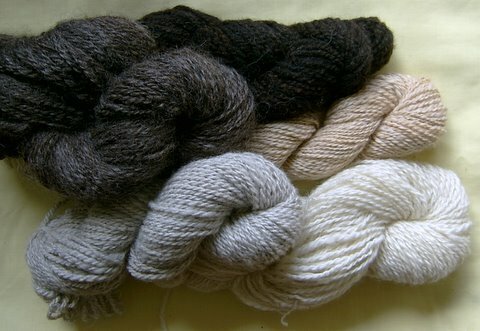 We stock white and the full selection of 39 different colours of Ashford dyed Merino sliver. Ashford advises this wool is 22.5 micron. It is great for spinning, needle felting or wet felting. If you are looking for other slivers from the Ashford range, including silk/merino blend, please contact us. 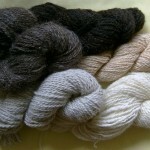 A small selection of natural colour and dyed handspun yarn is offered for sale. We also hand spin to order. Please contact us to discuss what you have in mind. Two-ply millspun, semi-worsted Fleecewood Leicester yarn is sold by the skein (skein weight is 100 g). 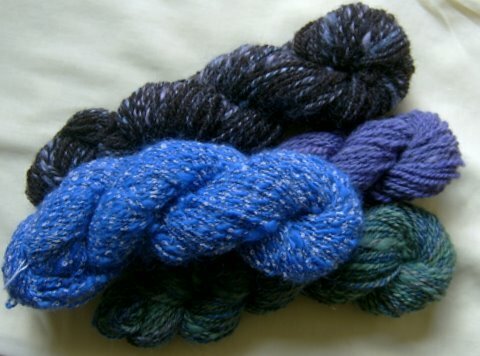 It is a double knit or 10-ply thickness, and unlike most commerical wool yarn, it has a sheen. 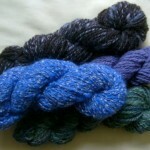 Unfortunately, millspun yarns are currently out of stock, and are not expected to be back in stock for 2-4 months. Fleecewood stocks, sells and offers advice on our personal experience using Ashford Dyes. 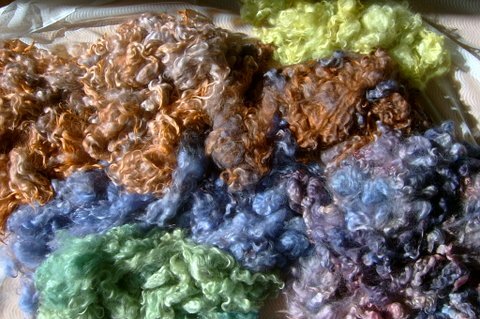 These are an acid dye suitable for protein fibres including wool, and are colour fast when processed correctly. • Specialty fibres such as possum, soy silk and bamboo. Not everything is listed on the sales page. If you don’t see what you are wanting, please email us with details of what you are looking for. We may be able to help.